Blu has unveiled yet another smartphone called Life One X2. This is a very impressive phone, incredible specifications and a friendly price tag. 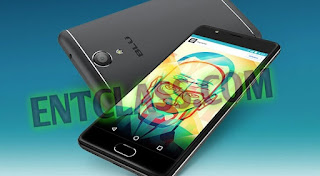 Blu has been known for making phones with mind blowing specifications and features for friendly prices. Coming to the specs of this phone, Life One X2 is powered by a Qualcomm Snapdragon 430, a 64-bit octa-core CPU with a Adreno 505 GPU. It will be coming in two variants which are the 16GB of internal storage + 2GB of RAM and the 64GB of internal storage + 4GB of RAM. Both models have SD card slots, so you don't have to worry about space. Life One X2 comes running on Android 6.0.1 Marshmallow out of the box. It doesn't feature NFC. Features a 5.2" IPS 1080p screen display, and below that is a fingerprint sensor. The back camera is a 16MP lens with PDAF Laser Autofocus, capable of 1080p video at 30FPS. Strangely, the Life One X2 only has a MicroUSB port - no USB Type-C here. But this device does support Qualcomm Quick Charging 3.0, so you aren't missing out on charging your device quickly. The first variant will be sold for $134.99 and $179.99 for the second variant. You can see that it's pretty cheap for its specifications and features. What do you have to say? Is it cheap? Uninstall some apps u don't need, turn brightness to Auto, Set sleep to 15secs.